Iran accuses the IAEA of reporting information that allowed “terrorists” to cut power to centrifuges at its Fordow nuclear site last month. Iran has accused the IAEA of reporting information that allowed “terrorists” to cut electricity to centrifuges at its Fordow nuclear plant in mid-August. 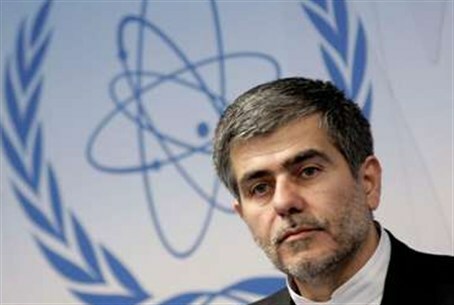 The Islamic Republic’s official news agency quoted Fereydoun Abbasi-Davani, the director of the Atomic Energy Organization of Iran (AEOI), as saying, "We found a tiny explosive material placed inside the vacuum equipment of a centrifuge, aimed to damage the centrifuge. "Iran bought 200 vacuum items from overseas markets four years ago and the saboteurs waited until this equipment could be installed on the centrifuges." The Fordow nuclear plant is buried deep under concrete in the mountains of Iran, making it difficult if not impossible to destroy by an aerial attack. Assassinations of nuclear scientists, mysterious crashes of airplanes carrying physicists and generals, and cyber attacks have been carried out the past three years, presumably by agents working for Israel, to disturb Iran’s nuclear development. IAEA officials recently visited the Fordow plant, and Abbasi asked, “Does this visit have any connection to that detonation? Who, other than the IAEA inspector, can have access to the complex in such a short time to record and report failures? He told reporters that a back-up system prevented any damage to the Fordow plant, which raises questions why saboteurs would cut power if it would have no effect. He later told reporters that back-up power and other defenses had prevented any damage to the Fordow plant. The London Telegraph surmised that the power outage apparently caused no damage “because the IAEA visited Fordow on August 18, the day after the explosion, and released their latest report on Iran’s nuclear program on August 30. This makes no mention of any damage in Fordow. Another possibility is that the IAEA inspectors did not notice the damage.